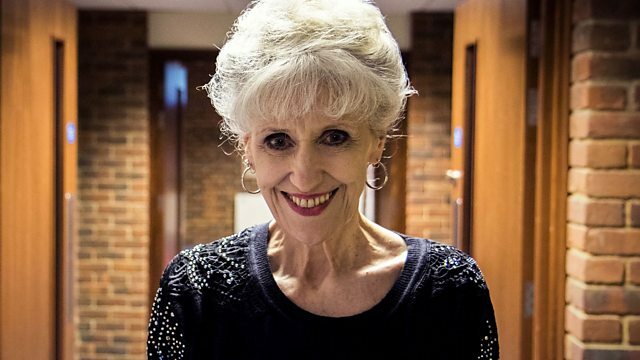 Anita Dobson presents an appeal on behalf of Phab, a charity that brings together children and adults to help them build social skills and self-confidence. Browse content similar to Phab. Check below for episodes and series from the same categories and more! have a disability, it can make life even more difficult to deal with. activity clubs like this one and has been doing so for over 60 years. opportunity to play games, talk and make friends. The charity's clubs are special, like this one in Epping Forest. which can help with their social interaction and confidence. So what is the best thing about coming to Phab? -people in wheelchairs like me, and things. -And do you make friends? Yeah. I've made quite a few. -Today, we made, like, things out of pipe cleaners and stuff. -I might get to see some of your moves? Give me a high five. Yes! with your little granddaughter, Keana. She's just adorable! Tell me a little bit about her. She has cerebral palsy. She was born three months premature. and a half that we really found out what was really wrong with her. With Keana, she is always very wary of people that she don't know. But she's actually got on so well. She was chatting to other people in there and that, it was lovely. So, would you say it has benefited Keana coming here to Phab? Confidence like, you know, generally at ease and quite happy. All the children in there seem very happy. from seven-year-olds to 70-year-olds, and beyond. Natalie's story really shows what's possible being a part of Phab. Life kind of stopped, as I knew it. and being dependent on my parents for everything. You kind of think, well, how do you start again? and is now paralysed from the neck down. Before I was ill, I was always busy, always doing everything. I lost a lot. I lost a lot of confidence. I just felt, "Who needs me now? Where do I fit in?" but I also lost quite a lot of friends. and I didn't want that, I wanted to be the person that I was before. been in hospital with me. where I had come from, and I instantly felt really at ease. to be able to just be me from the start. I found who I was again, really. so it really has given me my social life back in every way, really. finished, that's it. You can still go out and do all these things. And it really has given that back to me. a serious disability, then I would point you in the direction of Nat. Her disability doesn't define her, it's just part of who she is. most of the members of Phab will speak to her. She has a smile and a good word for everybody. and Phab, to some extent, fills that hole. Phab clubs just wouldn't be able to exist. like games, arts and crafts, and musical workshops. get away from home for the first time without their parents. away from Mum and Dad. It was different. I got to do stuff that I don't normally do. It just gave me the independence that I know I needed. that confidence that maybe I don't get in school or at home. so she is proud of what she has been able to do. so she has got that peer support. So it gives her friends that are similar to her. It's that sense of belonging, it gives them a big sense of belonging. ..go to different clubs and try new things. it gives him the opportunity to feel independent. It gives Caitlin responsibility as well. That's it, we try, where we can, to say, "You are the big sister." So, for her, she's got an important job there. and adults to make more of life together. This can be key in improving their quality of life and wellbeing. and open up new clubs where the demand is greatest, across the UK. don't have the opportunity to leave their home with ease. meet new friends and gain confidence, together. So, please do give what you can. and 100% of your donation will go to Phab. Write Phab on the back of the envelope. Anita Dobson presents an appeal on behalf of Phab, a charity that brings together children and adults, with and without disabilities, to experience group activities, communal events and excursions. The aim is to help them benefit from the social skills and self-confidence gained from the interaction with others.